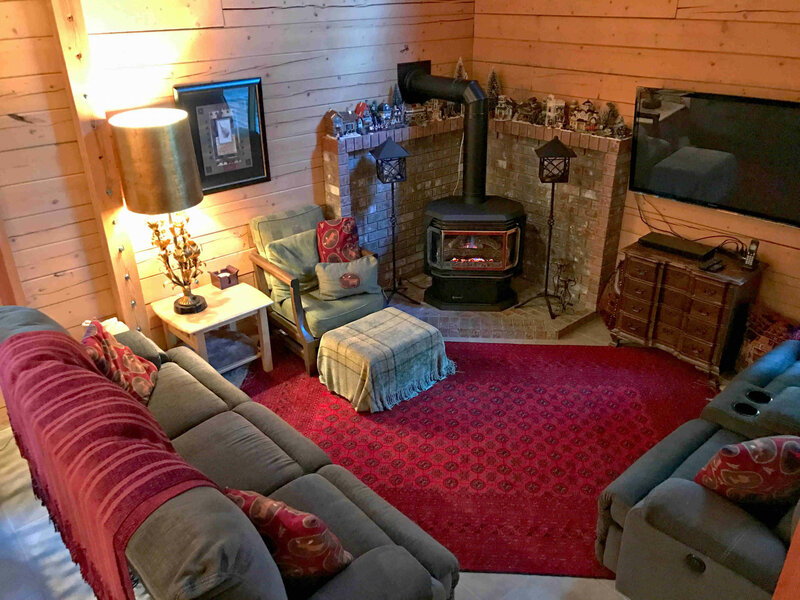 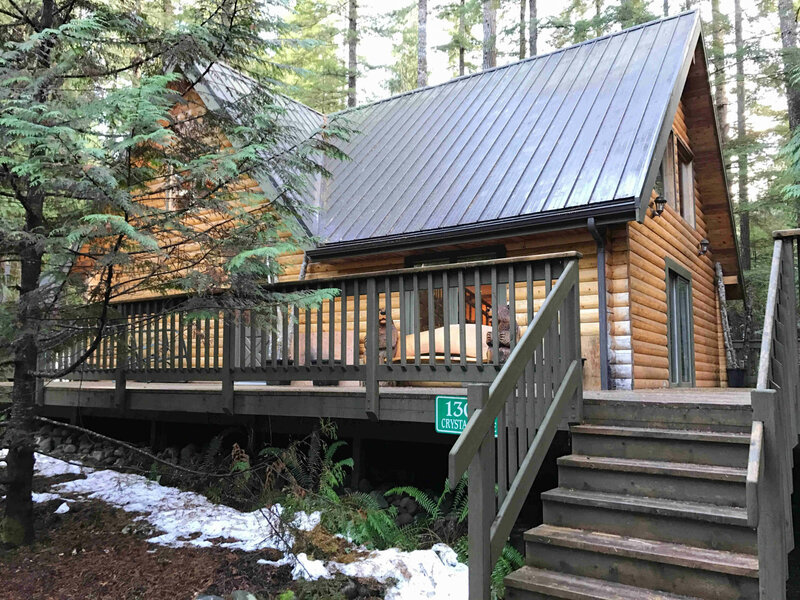 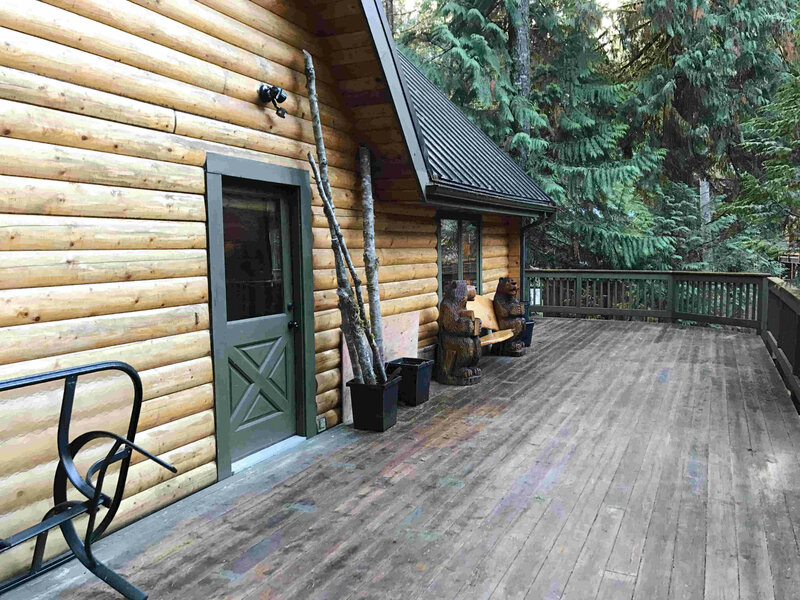 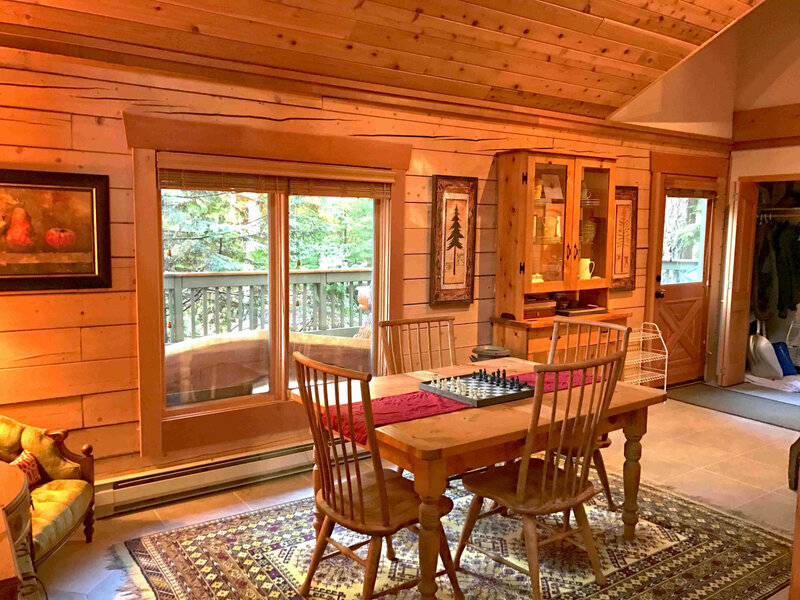 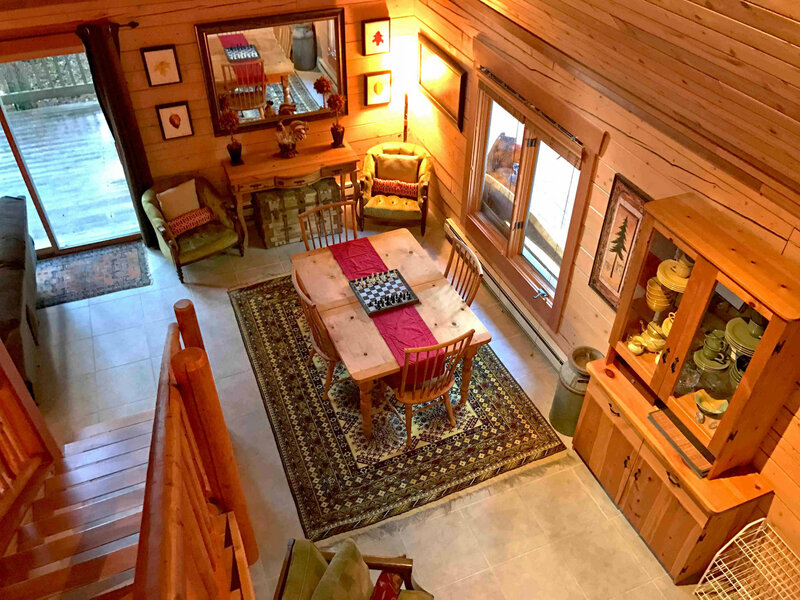 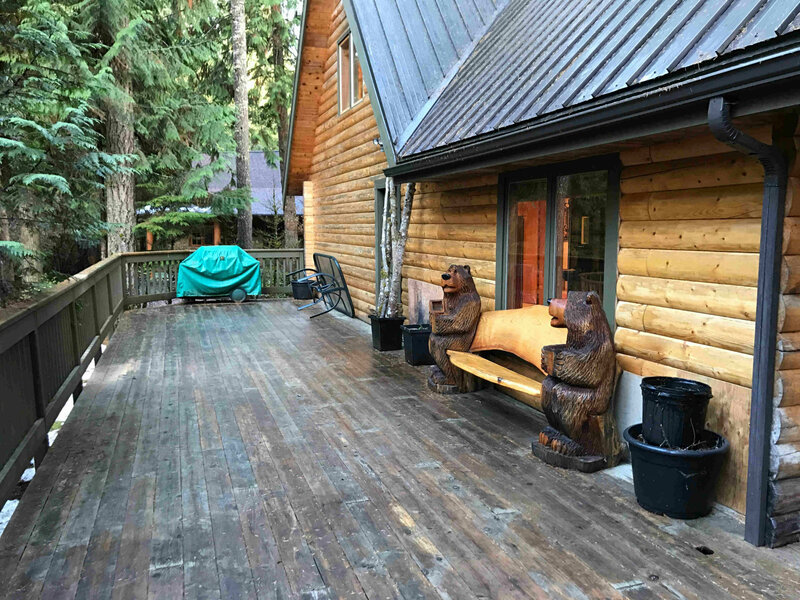 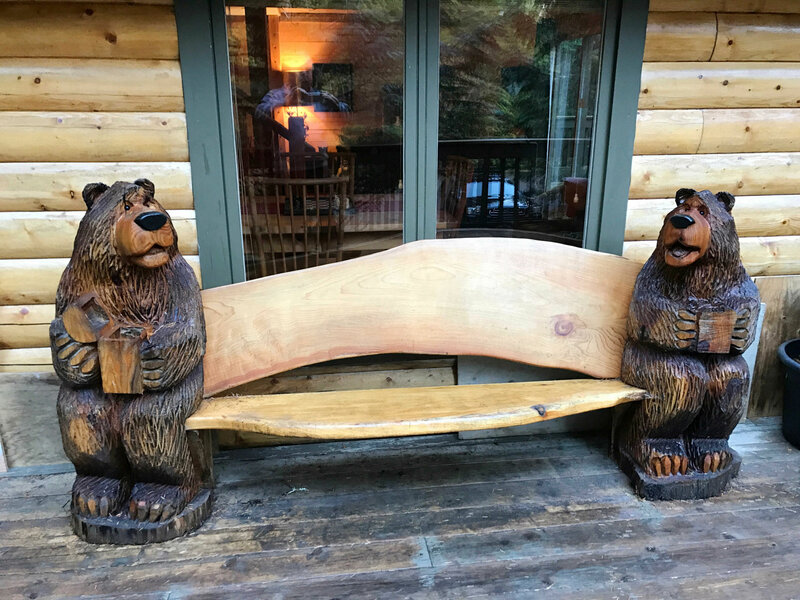 Designed for family entertaining, this tastefully furnished 2-story, 3+ bedroom log home combines modern convenience with rustic charm. 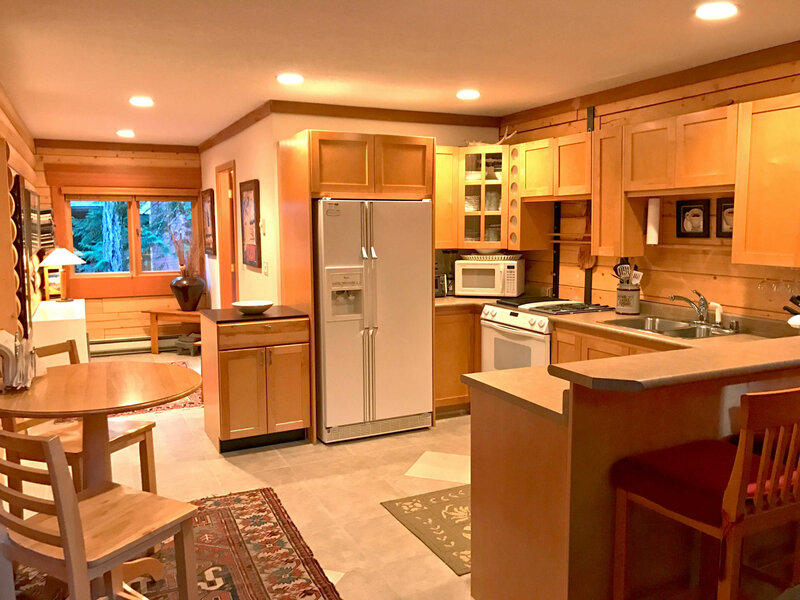 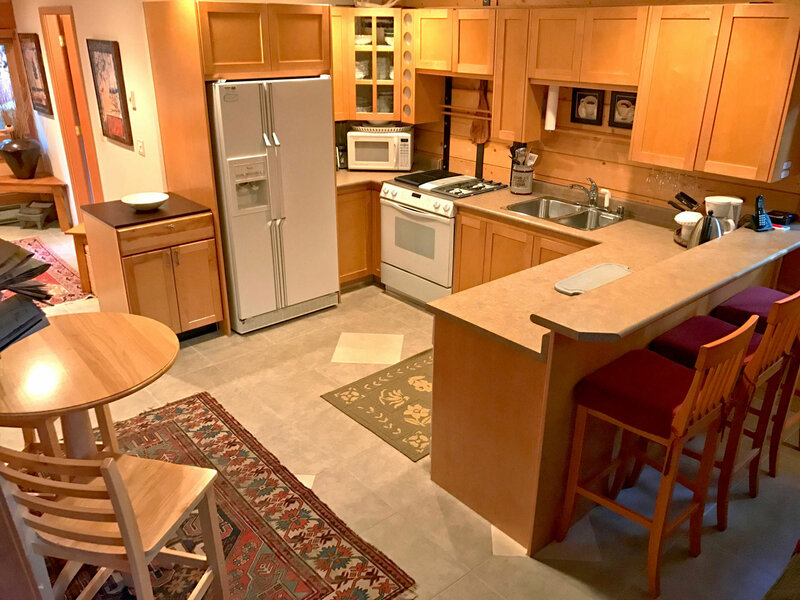 The first floor features a fully equipped kitchen, and open living/dining area with a flat screen monitor including a Blu-Ray player, a freestanding gas fireplace to cozy up to, a dining table plus a breakfast bar, and a sliding door that leads large deck complete with an outdoor gas grill. 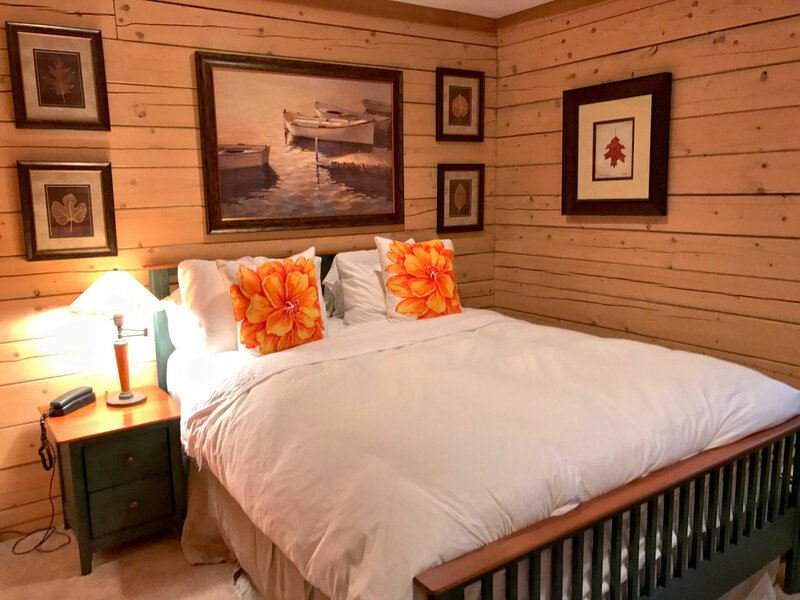 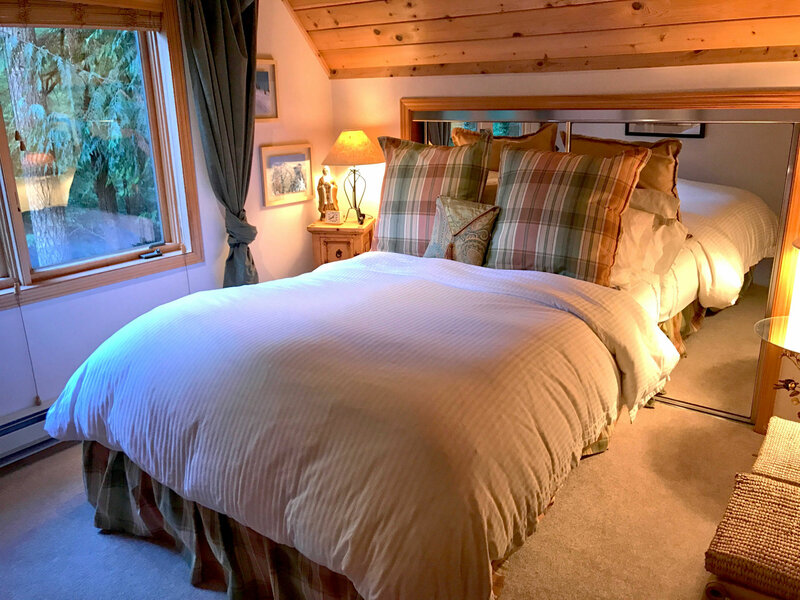 The 1st floor also features one bedroom with one queen sized bed, and a ¾-bath. 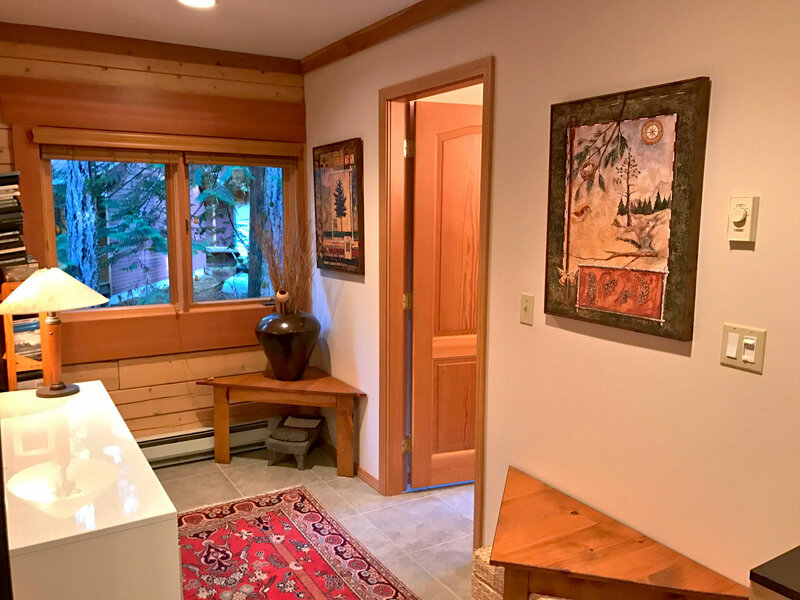 Ascend the ceramic tile inlaid staircase to the second floor where you’ll discover one bedroom with one queen sized bed, and another bedroom with one full size futon flanked by another ¾-bath. 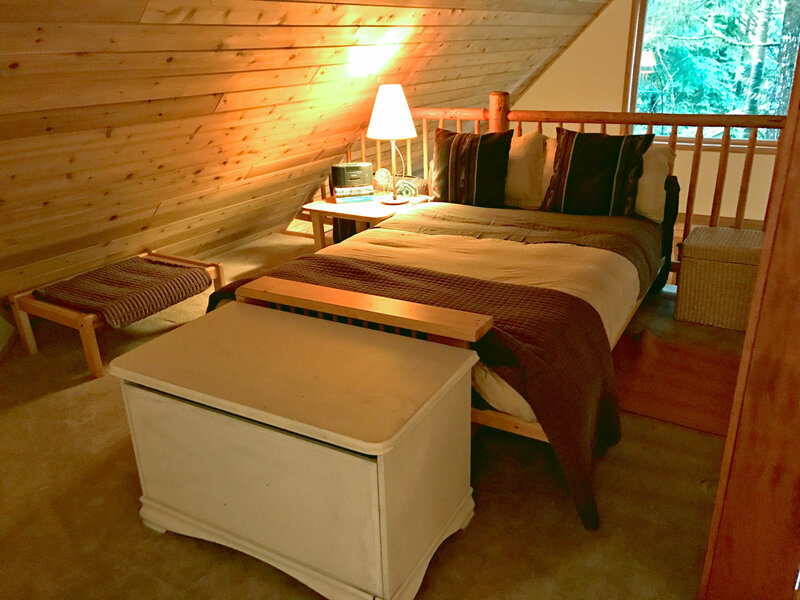 There’s also an open loft sleeping area (perfect for the kids) with one full size futon. 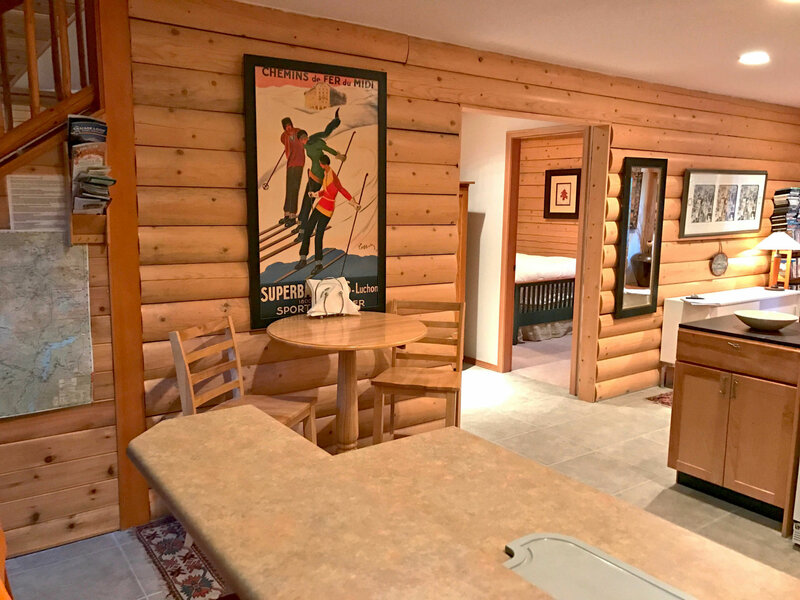 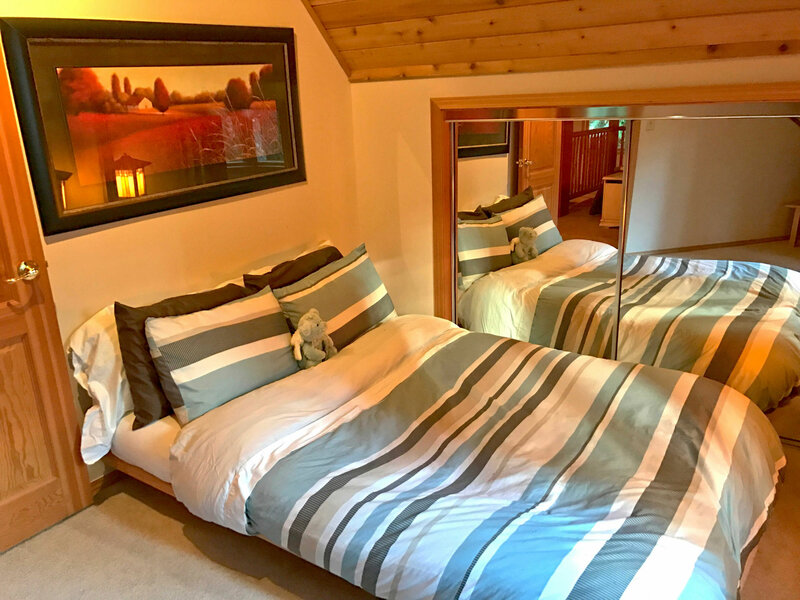 This unique family vacation home includes wifi and will sleep up to 8-persons (ENFORCED Maximum Occupancy).